If you’ve checked your list twice and still can’t muddle out what to get for the kids in your life this holiday season, check out the Maker Shed Kids and Family Gift Guide. There is a broad swath of fantastic products to choose from- including robots, art projects, and tasty culinary kits for those with a sweet tooth. Light up their lives with a 3D LED Christmas tree or pop some bubbles with our Make Your Own Chewing Gum Kit. In our Maker Shed Kids and Family Gift Guide, you will find items such as the Roominate Basic Kit, which promotes science and engineering in girls by creating their own wired dollhouse. Created by top female engineers, the Roominate Basic Kit encourages girls to make their own unique structures that can include working functions like elevators, windmills, and even Merry-Go-Rounds! Build skill sets along with circuits with this creative kit. Elevate your kids’ notebook flip books with FlipBooKit Moto! A great gift for burgeoning artists, this fantastic kit launched at Maker Faire New York 2012. Kids will be motivated to create interesting and detailed flip books to display in the sharp, classic design of this product. The FlipBooKit Moto comes with one custom made motor to propel your images into an animated sequence, along with a starter set of images (a galloping horse) to get the creative juices flowing. Easy to assemble, the FlipBooKit Moto morphs your scribbles into a featured display! Who could resist that face? A member of our Artec Educational product family, this is their Obstacle Avoiding Robot. A charming fellow, this robot scoots around your home and when it encounters a barrier, switches direction or weaves around the blockage. Kids can easily construct this robot, as no soldering is required. 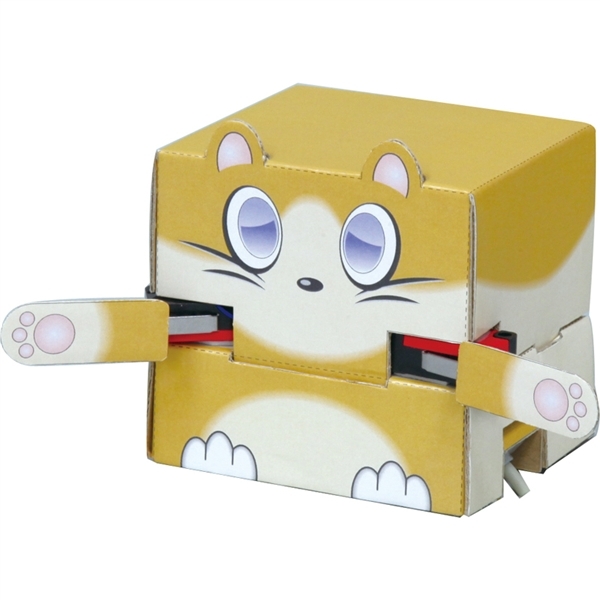 The sensors that are built into the robot activate the change in movement, and the bot is made with sturdy cardboard that will hold up to the obstacles that it bumps into. If these examples don’t strike your (or your recipient’s) fancy, check out the rest of the products in the Maker Shed Kids and Family Gift Guide, which has products for kids of all ages!